Hi everyone! 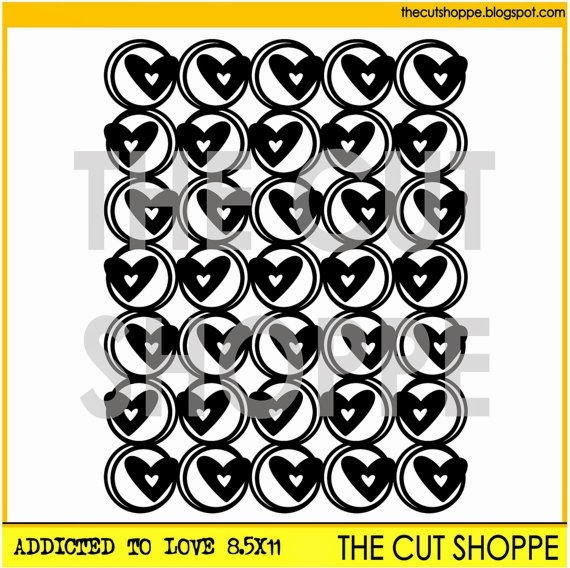 Today I have a layout to share that I made for The Cut Shoppe and I used the new Addicted to Love background cut file. I'm not really a Valentine-y person, but I just can't resist the Crate Paper Valentine's collections. Last year they already had an awesome one and this year they nailed it again with the Kiss Kiss collection! 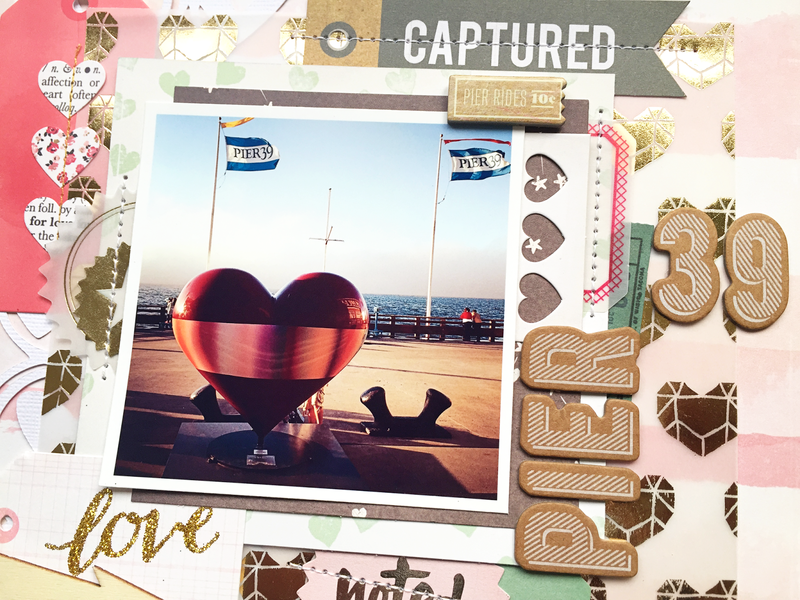 The picture that I used is taken at Pier 39 in San Francisco. The 'Open Heart' is now permanently located at the bay end of the Pier and it's part of the Hearts of San Francisco collection, you can read more about it overhere. I love this! What a lovely, layered page! This layout is so pretty Daniele! 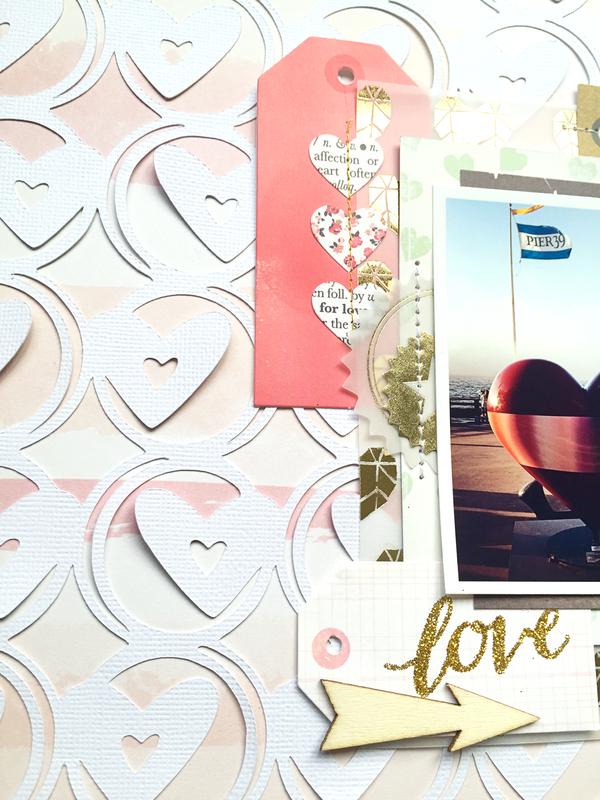 I love the cut file layered in the background and the soft colors you used on the layout!